Plymouth, Mich. January 10, 2019) Did you know that Christmas Angels can multiply? 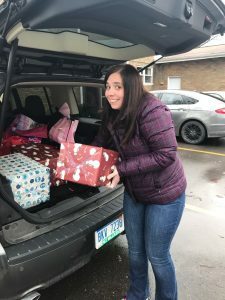 Members, volunteers, staff and friends of Catholic Vantage Financial watched it occur over a few short weeks before the holidays – just in time to help a single mom with two young children and another on the way. While the credit union, with branches in Livonia and Plymouth, is known for its generosity, this year staff proposed a project to CEO Peter Bagazinski that exceeded everyone’s expectations. The CVF team was led by Sarah Gyetvay, branch manager; Erika Diebol, accounting specialist; and Taylor Nadeau, IT support specialist. Catholic Vantage Financial held a mac and cheese bake-off in the Plymouth branch to help raise money for the Christmas Angels project. Serving are CVF team members, at left, Pam Gagin and Candace Johnson. “The credit union hosts a nice Christmas party and program for staff, volunteers and family members,” said Gyetvay. “We suggested that we could use this opportunity to give back to the community.” They found a family in need in Redford through the local St. Vincent de Paul ministry. 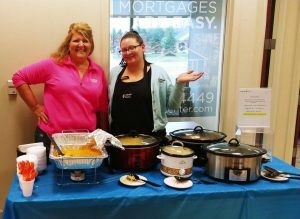 “Once we explained what we wanted to do, everyone jumped on board with ideas for fundraising,” added Gyetvay.Beginning in November, staff held a chili cook-off and a mac and cheese bake-off in the Plymouth branch as well as a hot dog and popcorn day at the Livonia branch. Staff also hosted bake sales. All of the events were open to credit union members and visitors. For a small donation, members were invited to place a name on a cutout Christmas Angel to be posted in the branch. The largest fundraising effort was made possible through the collection of donated items in themed baskets that were raffled at the credit union’s annual Christmas party. Jen Galatis, youth program coordinator for CVF, loads her vehicle with presents for the Christmas Angels delivery. All of the efforts paid off by raising $4,000, a large sum for a credit union of 30 employees along with an untold number of Christmas Angels that kept multiplying. Shopping for the selected family produced just as much enthusiasm and even bargain hunting among the staff. “After everything was purchased and wrapped, it looked like Santa stopped by our board room,” said Gyetvay. The Christmas Angels delivery to the family just before the holidays included food, clothing, toys and much needed supplies. Because of the funds raised, they were also able to buy new tires for the mom’s car so that she could safely drive to work and take the children to school. “It was a great team effort. There were heartfelt feelings all around—thanks to the generosity of our members and everyone who participated,” said Gyetvay. And, that’s how Christmas Angels multiply.  Catholic Vantage Financial is considered Michigan’s leading and most well respected Catholic Federal Credit Union. In addition to the credit union’s offices, ATMs and extensive online services, members have access to more than 5,000 shared branches and nearly 30,000 ATMs nationwide. Member deposits are insured to $250,000 by the National Credit Union Administration (NCUA), a U.S. government agency. For more information and to learn how you can join, call 734-432-0212 or visit www.mycvf.org.